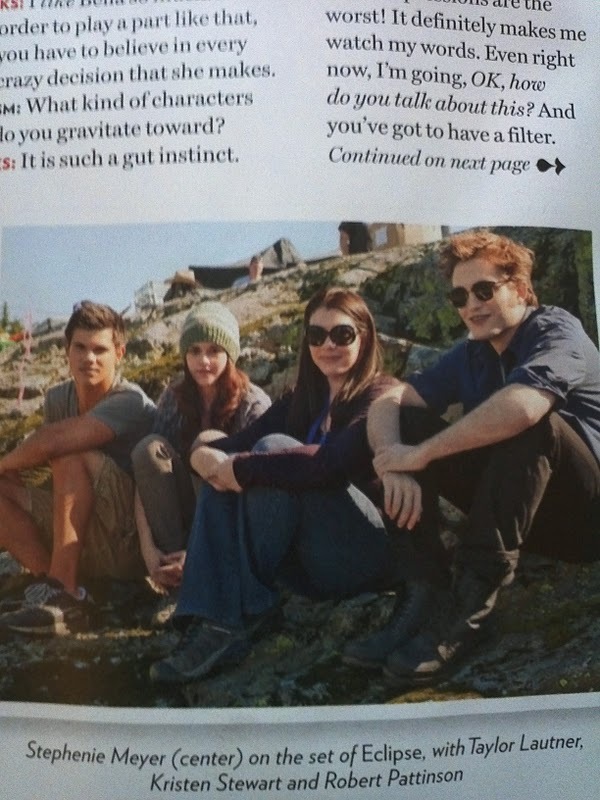 Kristen Talks Twilight, Rob, And Being A Fan + New Pic! 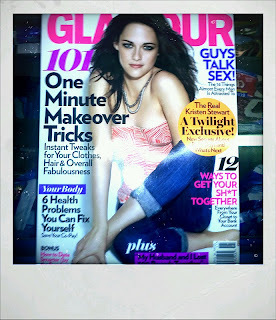 Kristen is on the cover of Glamour's U.S. November issue, and she talked with Stephenie Meyer about the series, the last day of filming in Canada (read a bit more on that in Premiere France), and about being a Twilight fan (which apparently Rob is not so much). These are the scans we have right now, we'll update with better ones or the transcript when it's in. via KStewDevotee where you can see all of the scans. Thanks for sharing! 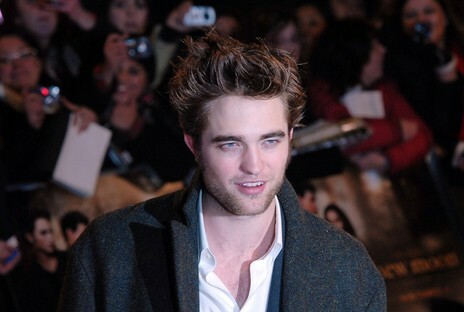 Rob Headed To 'Breaking Dawn' UK Premiere! The official UK Twilight twitter confirmed today that a Breaking Dawn Part 1 premiere will take place on Wednesday, November 16th (no location yet). 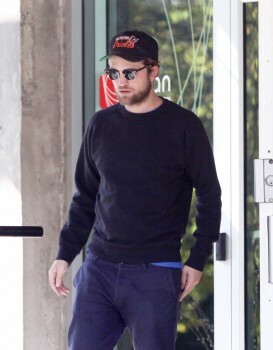 Rob is reportedly confirmed to attend, along with Taylor and Bill Condon. More details as we get them! 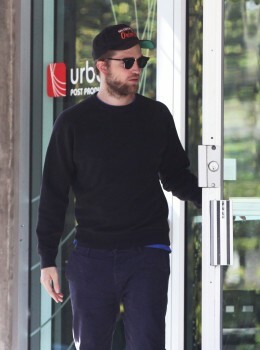 Rob is also scheduled to promote the film in Paris at the end of October. So much fun stuff to come! David Cronenberg: "A Little More Security With Robert Pattinson"
Watch as Cosmopolis director David Cronenberg tries to explain the fan attention Rob brought to the set, and compares it to other actors he's worked with. Cute. (At the end of the video). 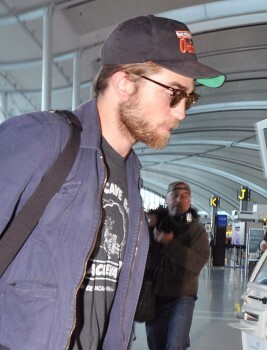 Let The Breaking Dawn Promotion Begin: First Stop, Paris! 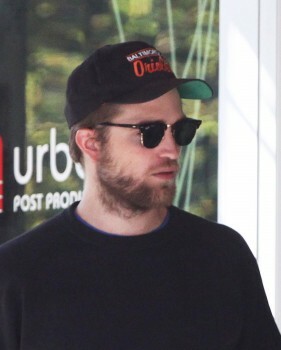 "For the release of Breaking Dawn Part 1, Robert Pattinson and Ashley Greene will be in Paris on October 23rd and 24th, to promote the movie. 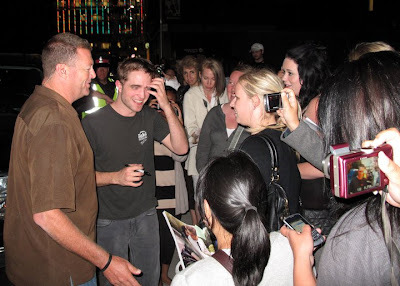 Sunday, October 23rd, around 500 fans will have the chance to meet Robert Pattinson and Ashley Greene and ask them the questions of their choice. This meet and greet will be free and will take place at Gaumont Capucines. We will send more details on this event next week, as well as how to get tickets." 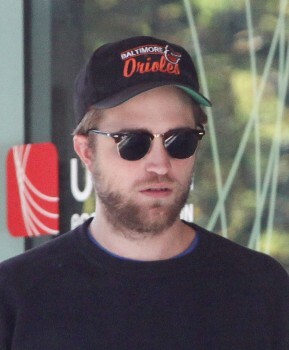 Taylor Is Put To The Test: Can He Recognize Rob? 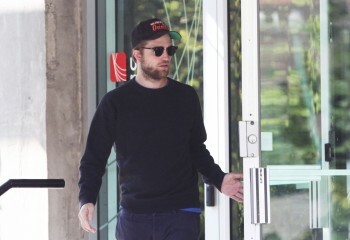 Anna Kendrick On Rob's Fame: "It's Like A Prison"
Airport Sighting: Rob Is Back In Toronto! 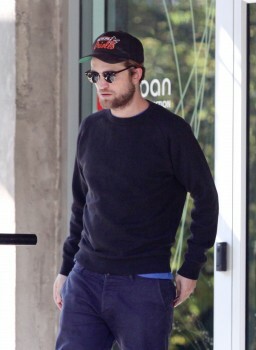 New Pictures: Rob Looking Very LA Hot! Official 'Breaking Dawn' Soundtrack List Is Out! What Does Taylor Think About Rob The Musician? Taylor On Rob Kiss: "All Of A Sudden Wham!" Jimmy Fallon Confirms: Rob Was At His Afterparty! 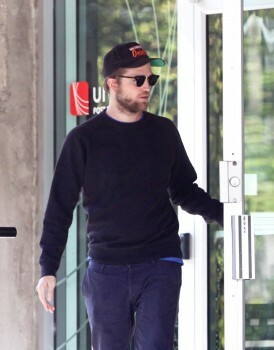 MyAnna Buring Calls Rob "A Sweet, Funny Guy"
Cosmopolis: "A Big Departure For Rob"
New Album?, New Role?.. It's Rumor Tuesday! 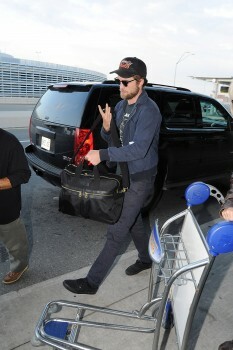 Guess Who's Back In LA?! Official 'Breaking Dawn' Part 1 Trailer Is Out! 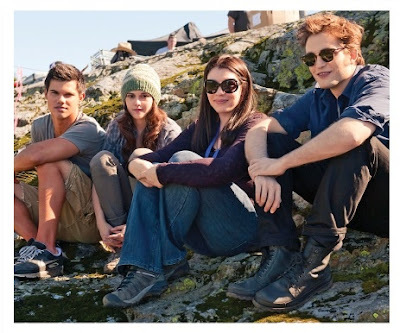 The Gorgeous 'WFE' Stills Keep Coming..
UK Fans To Get 'Breaking Dawn' Trailer First? 15 Second 'Breaking Dawn' Trailer Teaser Is Up! 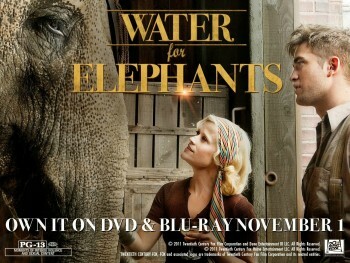 Water For Elephants: More New Stills Of Jacob! 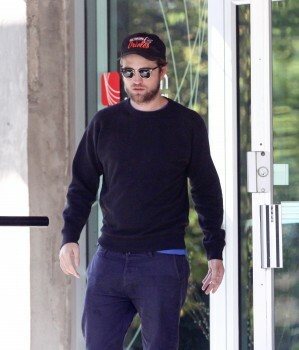 See 'Breaking Dawn' Before It Opens In Theaters! 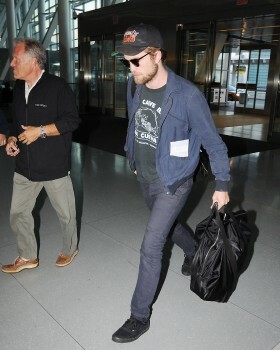 Home Sweet Home: Rob Is Back In London! UK Fans: Time To Vote For Rob As Best Actor! 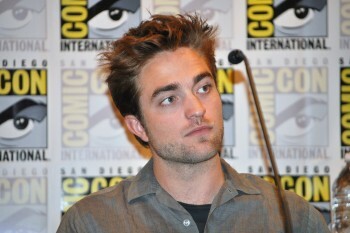 'Cosmopolis' At Cannes?.. Yes Please! Calendar Hotness Thanks To Bella And Edward! This Is One Claim By The Sun We Hope Is True!